About the Project: Vincent Tsoi from SLSD, in collaboration with Michael Sun (SLSD) ,Stephen Ramirez (SLSD) and Lester Gomez ( CLS) worked on this project, using Beta-Calco’s 1800 & 2800 Bubble LED Fixtures. The inspiration grew from the desire to bring attention to the interior space from the busy Wilshire Boulevard outside. The building, designed by Ehrlich Architects, is comprised of glass exterior walls and so we have taken advantage of our ability to showcase extravagant building and lighting design. The Beta-Calco Bubble LEDs have proven to be the perfect statement pieces as they illuminate its surroundings day or night. As they seemingly hover above the branch lobby, the Bubble LEDs offer joy and admiration to a panoramic audience indoors and out. Furthermore, we felt that it wasn’t enough to hang just one Bubble LED in the corner of the suite so it was decided to hang two instead. As the photograph depicts, the ring-like nature of the lighting fixtures coincides harmoniously with the spherical sculpture created by Chinese artist Ai Weiwei. There are two sizes of Bubble LED fixtures used on this project. 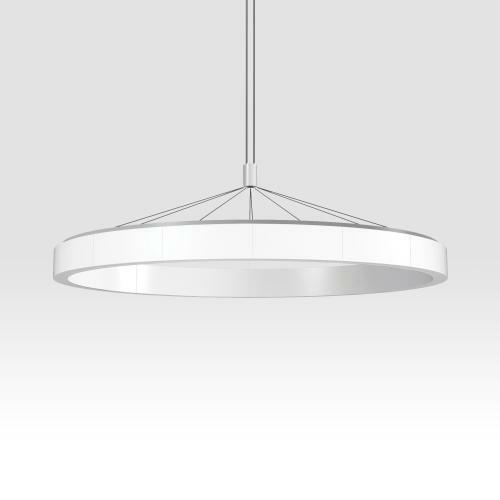 One is 70.9” in diameter and accommodates lamping for 52x6W LED (3000 K) lamps. 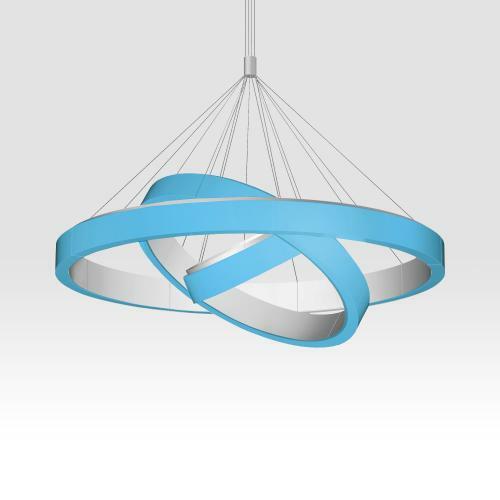 The second fixture used is 110” in diameter and accommodates lamping for 88x6W LED (3000K) lamps. About the Specifier: Space Light Structure Design is a full service design company providing services in Architecture, Urban Design and Interiors. The company is formed by Vincent Tsoi in 1994, together with a group of Architects with a wide range of experience in different project types and who share a common vision about the practice of Architecture. In addition to the numerous Tenant Improvement projects for East West Bank, SLSD has designed and facilitated the construction of many custom homes and mixed-use projects throughout the San Gabriel Valley region of Southern California. About the Sales Agency: California Lighting sales Founded in 1967, CLS is involved in the marketing, specification and sale of manufacturer’s projects, turning their clients lighting goals and vision into practical, affordable solutions. Beta-Calco has been proudly associated with California Lighting sales for 3 years.